Well, its early days, but having trained on a C152 I was really looking forward to at last getting a 'study level' model that had the right flight dynamics. There is much to like about this 'plane, but there are some fundamentals which just take the edge off it for me. I took some circuits with one passenger and about a half load of fuel which is typical for local VFR and circuits during training. I spent ages trying to get the PIC view right in Chaseplane, before realising that there is an issue with the attitude of the plane when static on the ground. Take a look a a photo of the real plane, G-BGAE for example on Google, then compare to the model standing on tarmac. Compared to the real thing it is nose up, and this affects the PIC view over the glareshield. Load does not affect the plane, its does not appear to be coded to change attitude as the weight changes - the real one is very light, the 2CV of the air, and 50lbs makes quite a bit of difference to the way it sits. This really impacts when flying, I found. Taxiing in a 152 normally takes a bit of throttle to overcome inertia, then on dry grass 1700 will do it, and 1200 on tarmac. Any more and speed can get up quite quickly. The model needs far too much, as others have said, and will require tweaking. RPM drop with magneto checks and carb heat seee accurate. The sounds associated with the flaps are poor (clipped off at the end). On starting the low voltage light should briefly light, before extinguishing; it doesn't. Its a little unnerving! Normally a bit of left rudder is needed, and as I rolled down 08 at EGTE with 12kts at 130 this seemd OK, but when I lifted off at 65kts the plane snapped unrealistically to the right at the tail was pushed round by the wind - this would be more measured in life. Climb out at 1533lbs with full throttle from 300ft ASL trimmed for 70kts gave over 1000 fpm, this settled to about 900'. Most C150s I have flown settle quickly to 750 to 800' at 70 kts at that load. Changing the load during the climb to see the effect, I can tell there is an impact, but not at all lifelike. In turns I cannot get the slip indicator ball to move as it does in steep turns, making coordinated turns harder to judge. Whilst the turn, pitch up; level pitch down sequence is correct, both responses are too strong, and need calibrating. I do agree with other comments that the flight dynamics under flaps are the biggest disappointment. When turning base at 1000 above threshold level in a C152 its usual to set throttle to 1700, with carb heat, and holding the plane level wait for the speed to bleed off into the white arc, which normally takes only a few seconds. Then drop two stages of flaps and push the nose forward - like magic the plane settles at 70kts and -700 fpm descent. Doing this with the model results in rapid recent, and a very out of trim attitude. No problem I thought, correct with power - the C152 descent is usually a point and power plane in my experience, but power does not give a recovery, and you have to resort to pitch which is just all wrong. Dropping last stage of flaps does not change the pitch and therefore view over the nose correctly, and the speed (after closing carb heat) needs to be corrected with far too much extra power. Of course, It may be that I need many more circuits to see if some of this is just me, but hope these early impressions are helpful. 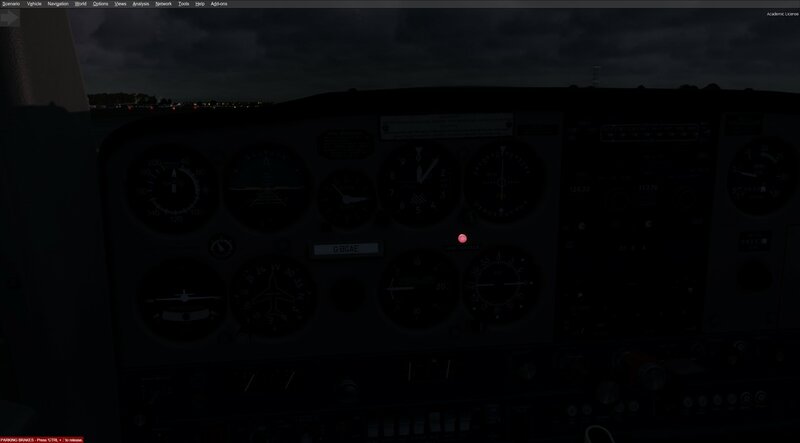 (I use FSUIPC to control axis assignment and calibration, but for this have not edited the calibration from default, Controls are disabled in P3D, and I use a CH yoke and rudder set). Thanks for the FDE feedback. Unfortunately it'll never be possible to match the intricacies of the real world aircraft's behaviour exactly due to simulator limitations (there are always compromises) but we are working through the feedback that we have received since release and should have an update shortly. I'll take a look at the low voltage light now. Well a little dismissive perhaps, even given the limitations of MSFS. Be fair - the 152 has been pitched as a 'near study level' aircraft. Having said that, it costs less than other market leading 'accurate' GA aircraft, so we must make some allowances, and I understand there is work going on in the background to address the feedback. Trim wheel – far, far too sensitive. For example for a flapless landing (glide approach) you would use idle throttle and 10 'up trim' pulls down on the wheel to get optimum rate of descent. The model only has 4 such trim 'pulls' from the top to the bottom of the trim indicator movement. Obviously more sensitive adjustments can be made by assigning the wheel to a button, but it would help student pilots using the model to train if the wheel could be accurately used 'by hand'. Turn coordinator all wrong - slip ball does not animate which makes coordinated turns difficult. Also ball tube is white not black. For a trainer this is vital! Lighting - gauges should not illuminate at night. (there is no backlighting). When using the C152 for night rating training its common to use a red lens torch, or even put the dome light on! Ceiling (dome) light switch (in ceiling) does not work. Also at night the low voltage light illuminates (or appears bright) with the gauges – it shouldn’t. Sounds: Sadly not as immersive as hoped. The C152 has quite a bit of wind noise, especially when tight turns or slips are used, and when dropping flaps. Also when opening windows and doors wind sound does not change. No Gyro sounds spinning up or down, just a 2 second whirr when battery turned on – no idea what this is meant to be! As others have said tyres/wheels under- rotate when rolling. The slip ball is animated correctly. 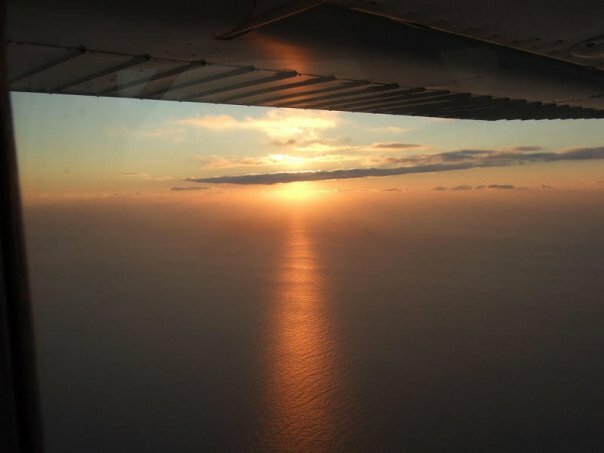 the low voltage light isn't illuminated at night, there is wind noise when opening the windows/doors, there are long/custom gyro sounds recorded in the real aircraft etc. We'll included a white slip ball tube in the upcoming update. The trim wheel is currently using a standard animation and control input logic so we'll look into changing that to something custom-coded to provide more refined control. Does the light extinguish if you advance the throttle to increase the RPM above approx 1000? No it didn't. I think its related to using the preview time mode in P3D. I can't now reproduce it by loading a night time scenario. Also resolved the other issues a bit - the slip ball animation was because I reset my realism to medium to test FDE and this automatically sets autorudder on - my mistake not spotting this. I can hear the gyros with sound turned up - I think this just needs the volume raising a little, as it is louder than set at the moment. What are the gyro & wind sound files called; I can then edit those myself? Ah yes, the preview time option doesn't fully apply the time settings which affects the night lighting until you accept the selected time.